The elegant Emilia top is from the Hobbs 'Invitation' range. The top features a sweetheart illusion mesh neckline with an embroidered polka dot design. The bodice is rendered in a form-fitting black textured crepe. 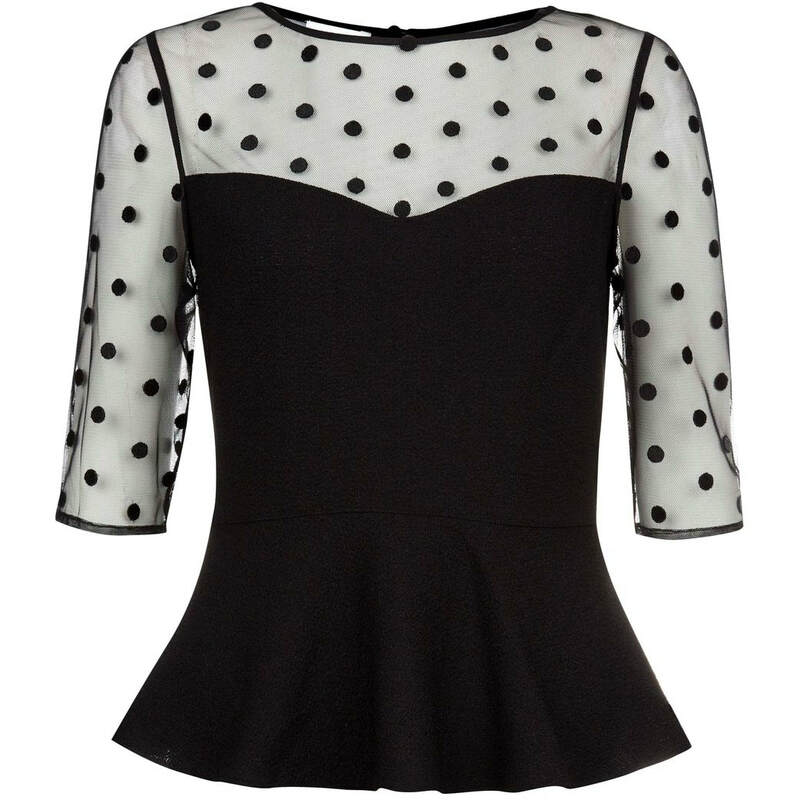 STYLE FILE: Hobbs Invitation Emilia Black Dot Top as seen on Kate Middleton, The Duchess of Cambridge.